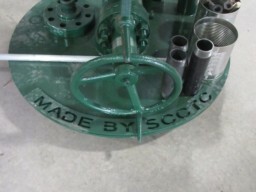 A Susquehanna County Career and Technology Center (SCCTC) student tells exactly what natural gas has done for him and his peers in making a future for them. Two decades ago, my hometown was struggling to thrive. There were no high-paying jobs available, and the only way to hava a family-sustaining career was to move away. That all changed with the Marcellus Shale boom. Now, our area is flourishing thanks to an abundance of Pennsylvania-produced natural gas. As a Susquehanna County Career and Technology Center student, I am learning how natural gas infrastructure projects bring more benefits. including jobs, to local communities. I recently worked on valve cutaway project for Cabot Oil and Gas. This and many other projects bring with them significant economic benefits and well-paying jobs that ensure my community will continue to flourish. Natural gas Is a pillar of the U.S. economy. Companies are more competitive, thousands of jobs are being created and hardworking Americans now have more money in their own wallets. In my hometown, natural gas given us a real chance at the American dream — a real advantage. We need to provide more Americans a chance at high-paying careers, and the natural gas industry gives them that opportunity. By supporting infrastructure projects, we help others rise up and revive communities across Pennsylvania. The post Natural Gas Is A Pillar of the Community Says SCCTC Student appeared first on Natural Gas Now.